Finding the right shampoo is like stumbling upon a treasure vault in your backyard. 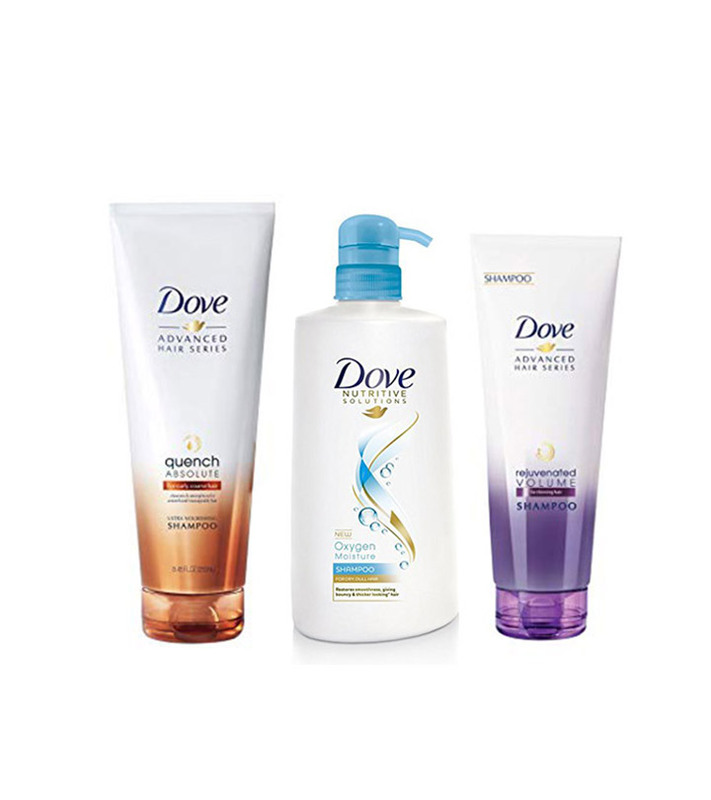 Brands like Dove understand that we all are made differently, have specific needs, and that one shampoo cannot be ‘the fix’ for all kinds of hair. While hair fall seems to be the most common woe for women everywhere, most of us have a combination of other issues, and that’s why we need shampoos that tackle our respective needs. Whether you have colored hair that needs extra attention, dry scalp that needs extra care, or an oily scalp that is an attention seeker, Dove has an answer to all of these, and how! We have a list of their bestsellers and highly rated shampoos that their big customer base loves. Let’s see what they are. We all need a rescue ranger to pull us out of the bottomless hair fall pit. If you have been on the lookout too, you probably need to give this one a shot. It has silicon and triazole actives that work to nourish your hair from the root to the tip, which is the kind of treatment your hair needs if you are suffering from excess hair fall. You will see a visible difference in the volume because it reduces breakage to a large extent. Whether you shampoo daily or every other day, you need something that can protect your hair from wear and tear and retain the natural oils and fiber layers. The micro moisture serum does just that – it cleanses your hair from deep within and sweeps out the dust and pollution that settle down on the scalp and the surface. 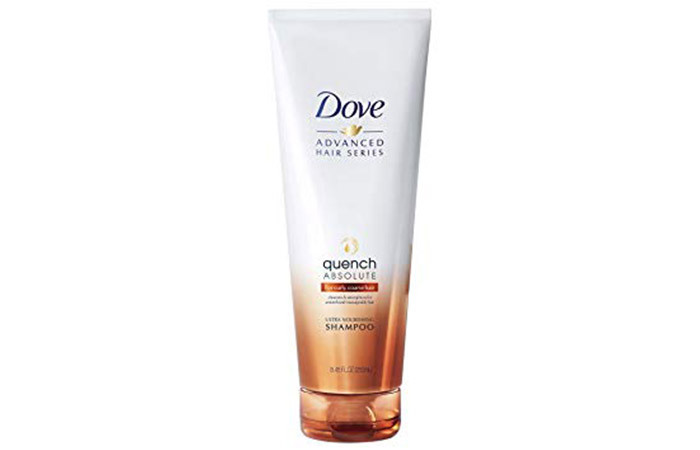 The shampoo adds sheen to your hair and leaves it fully shining. 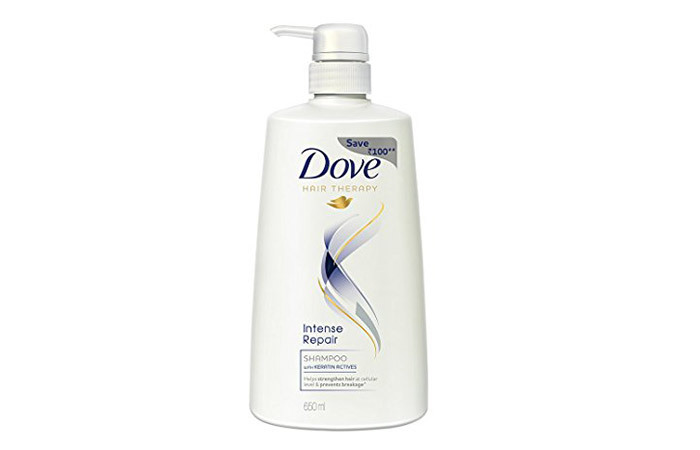 The intense repair shampoo helps restore your hair strength and rebuilds the roots. The shampoo also contains keratin that seeps into your hair scalp and nourishes it at a cellular level, making your hair healthier from the inside out. It prevents hair breakage and also works on the surface damage. For best results, combine it with a conditioner. A big issue for women with poker straight hair face is their shampoo taking away the hair volume and making it go flat. You need something that adds volume while keeping it soft and fluffy. So, if you are looking for something on those lines, Dove Oxygen Moisture helps you tackle just that. The Oxyfusion Technology moisturizes your hair and untangles it without weighing it down. There’s nothing more unpleasant than having a blob of dry and frizzy hair at the end of a hair wash cycle. A lot of us struggle with frizz and dryness, so you need a bottle of shampoo that combats frizziness and not make your hair dry while cleansing. With age and exposure to pollution of all kinds, your hair starts losing its charm. Which is why it needs the extra care and nourishment. 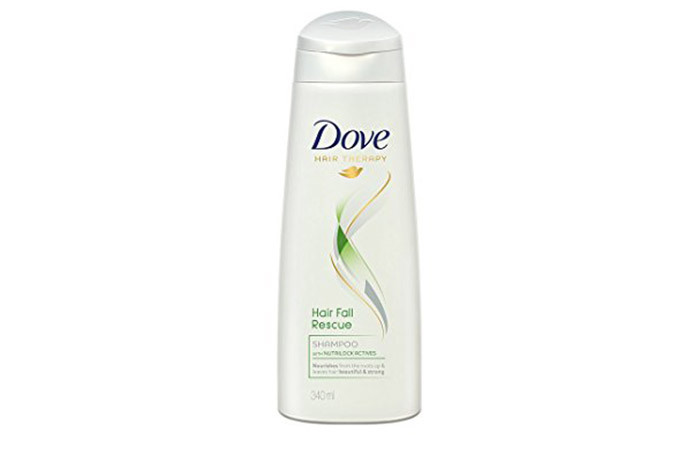 Dove Rejuvenated Volume Shampoo fortifies your hair with its unique formulation and restores the lost nutrients. It cleanses your scalp, roots, and your hair and leaves you smelling great. It adds volume and gloss too. 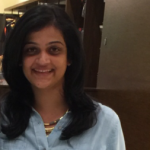 We take our hair for granted and allow it to go through lot of stress with styling tools, chemicals, hair sprays, and pollution and hardly let it breathe. You need products that help restore hair health by offering it the required hydration, nutrients, and moisture it needs. The Dove Regenerative Repair Shampoo is from the Advanced Repair series, and it contains red algae cells that are composed of high levels of polysaccharides that help retain and restore hair moisture. 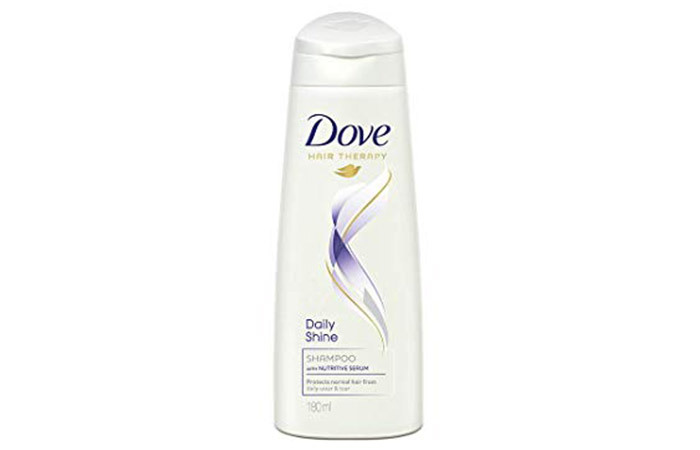 Looking for a shampoo that smells nice, works best for daily use, leaves your hair silky, and does everything else you look for in your everyday essentials? 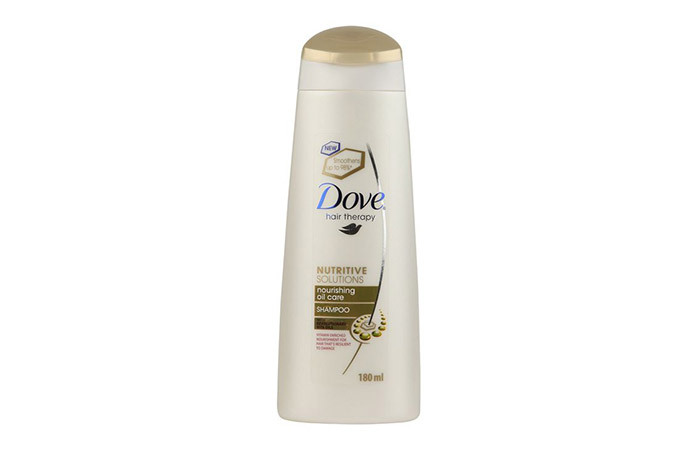 Look no further than the Dove Nutritive Therapy with Micro Moisture Daily Shine Shampoo that is a step up from your Daily Shine. Forget bad hair days and all your woes with this one. The biggest challenges for most of us are hair fall and breakage. Environmental and lifestyle changes are big contributors, and that’s why you need products that give you protection from all of those. 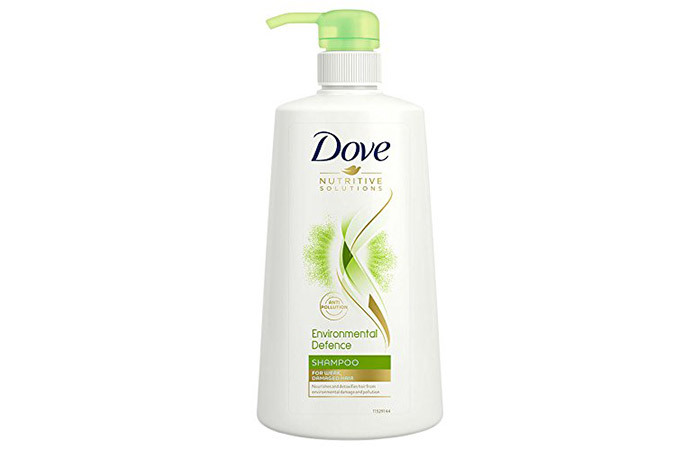 The Dove Environmental Defence Shampoo is infused with lotus essence and other essential nutrients your hair needs to repair the damage. It cleanses your hair from deep within by getting rid of the build-up of oil and grease on surface of your scalp. 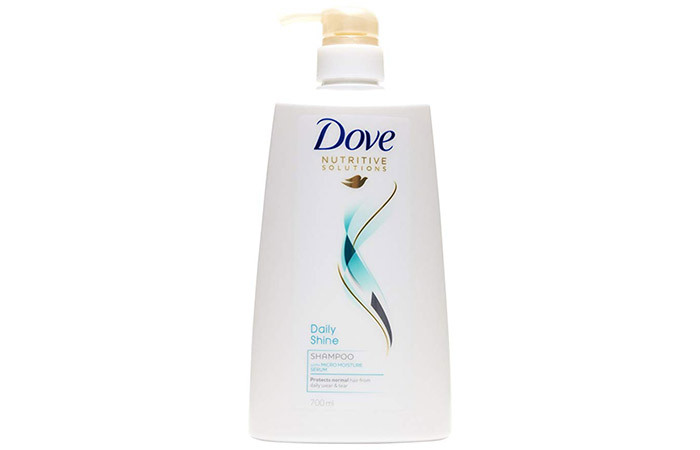 Dove Nourishing Oil Care Shampoo contains oils that supplement the natural oils in your hair while deeply cleansing off the dirt, dust, and grime. 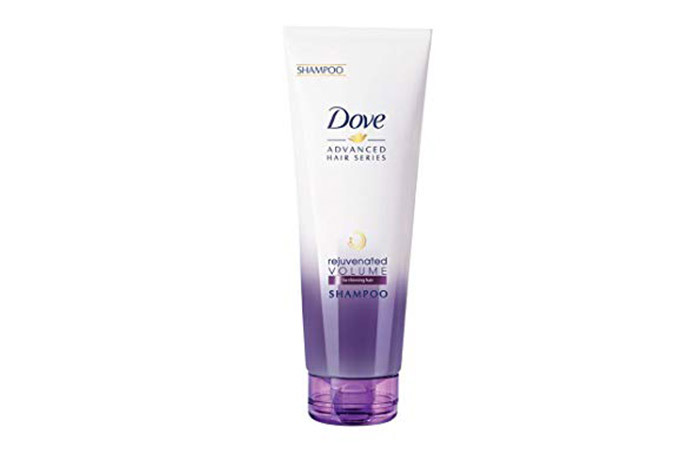 The shampoo adds moisture to your hair and leaves it feeling soft, light, and fluffy. With a combination of essential oils and fiber actives, it makes your hair look healthy, lustrous, and shining for the longest time. It suits all hair types and is a one-stop shop for all. 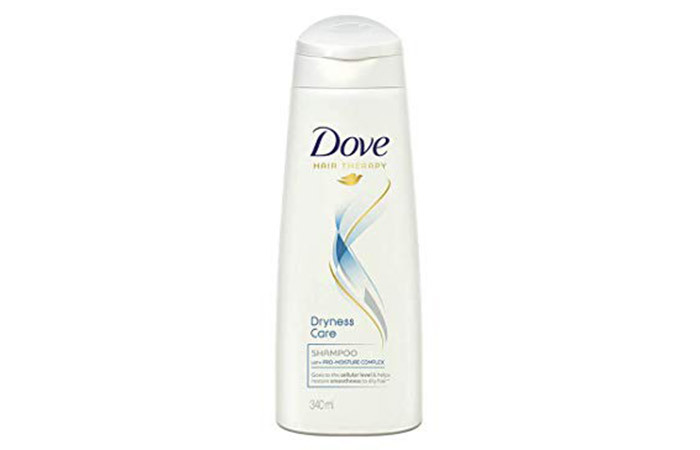 This shampoo, which is not only clinically approved but also something that its customers swear by, is what you need to go to for treating your dandruff. 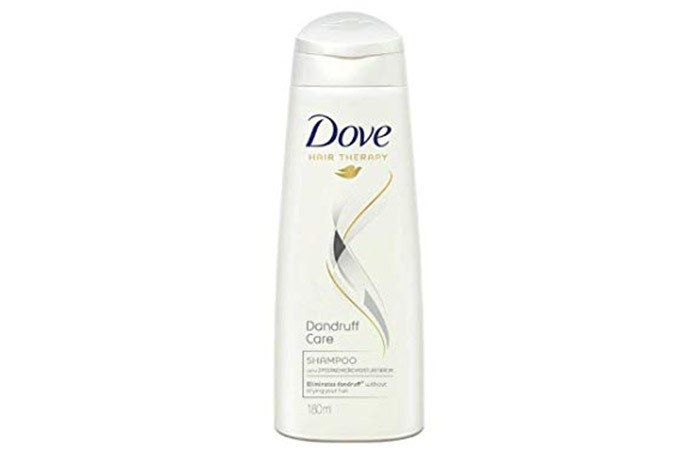 It is formulated to clear up dandruff from the very first use, without making your scalp too dry and sore. The micro moisture serum in the shampoo has a soothing effect and relieves you from the uncomfortable itching – all of this while deeply cleansing your hair. Find relief from the painful split ends that make your hair look awful and unhealthy. 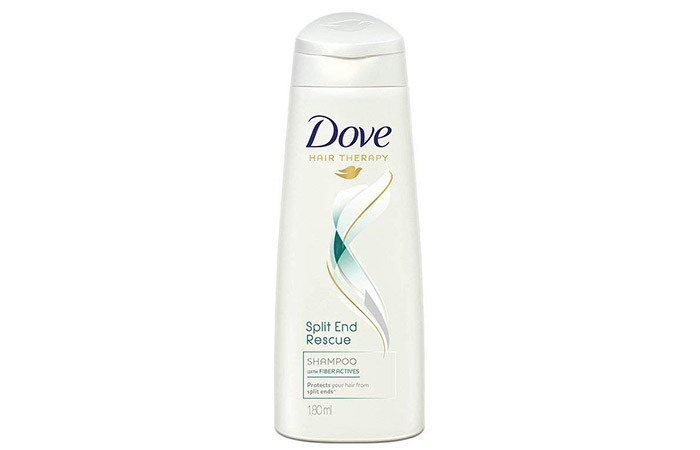 The Dove Split End Rescue Shampoo is formulated with fiber-active technology that reconstructs damaged hair, giving it the nourishment it needs and making it stronger than ever. A tiny pump can lather up and is enough to clean it all, so one bottle comes a long way – quite literally. Colored hair needs extra care, and this applies to highlights as well. Your generic shampoos just do not cut it anymore. 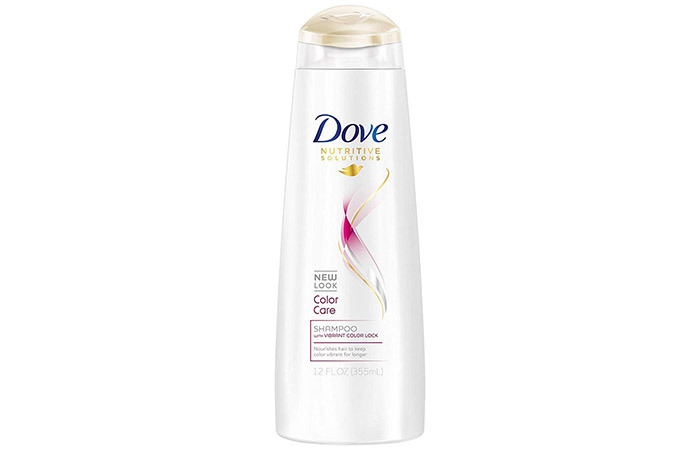 The Dove Advanced Care Color Repair Therapy protects your hair from all the chemicals you’ve been exposed to because of the color and also controls any further damage to your hair. It controls hair dryness by balancing out the moisture, which is a very common case with highlights or color. Just like our body, our hair needs detox too – from all the pollution and dust we expose it to on a daily basis. But let’s face it – we do not have the time to wash it as often as we should, so we need something that makes up for it. 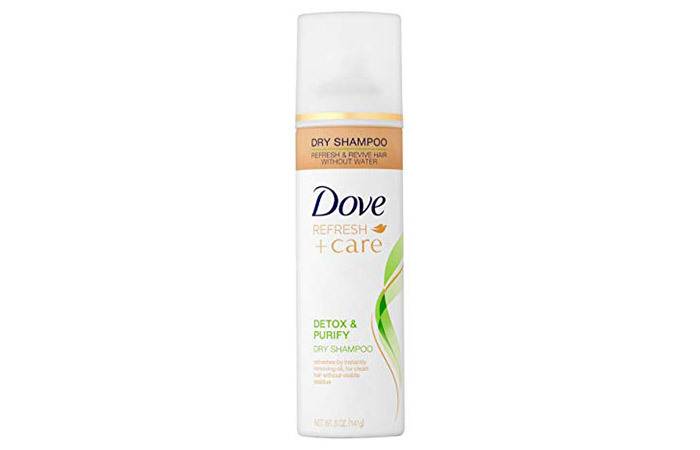 This is where Dove Detox and Purify Dry Shampoo comes to the rescue. It lifts your roots and adds volume while removing the oil and build-up. When you start using shampoo, be a little more vigilant and observe the changes or the ways your hair is reacting to it – for the good and the bad. Notice how your hair feels. If you think something is off, it probably is. Having said that, do not shuffle between too many shampoos or brands often. 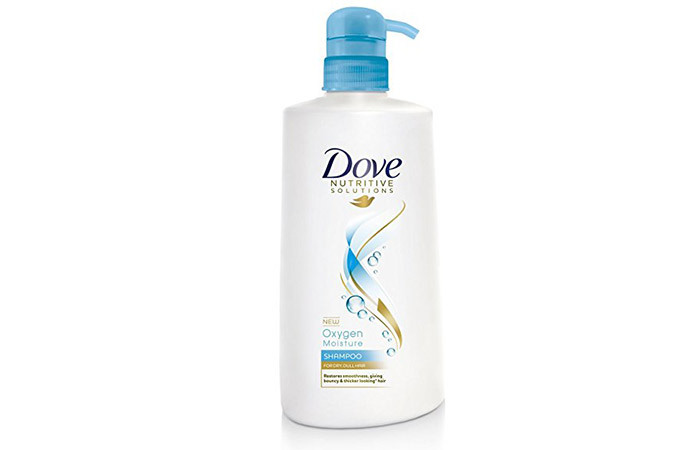 What is your go-to shampoo from Dove? What do you like about the current product you are using? Let us know by dropping in a text in the comments section below. It feels horrible to watch color fade off your color-treated hair, isn’t it? The only way to delay it is by using hair dye shampoos.